Wowed by the Warmth of W Taipei! 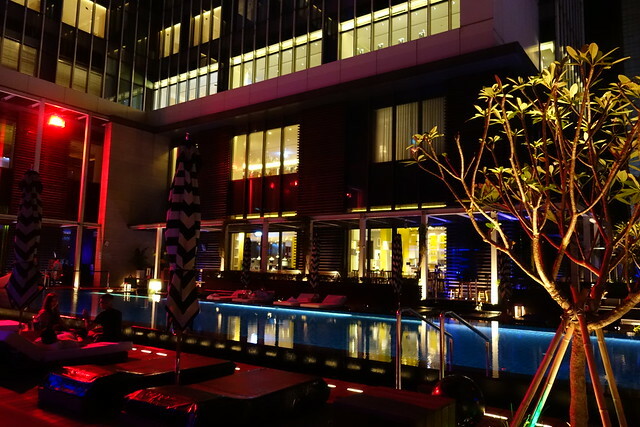 During a recent trip to Taipei, I wanted to give myself a birthday treat by spending my final night at W Taipei. I was lucky to secure a good rate thanks to J. After I'd booked my room, W Insider Joyce Hsu emailed me to find out if I had any special requests so she could make the necessary arrangements before my arrival and if I needed her recommendations during my stay in Taipei. What a lovely personal touch! Joyce helped me to make reservations at YEN Chinese Restaurant as well as YEN Bar and also put me in touch with Guest Experience Manager Vivian Ho as she wasn't going to be on duty on the day of my arrival. 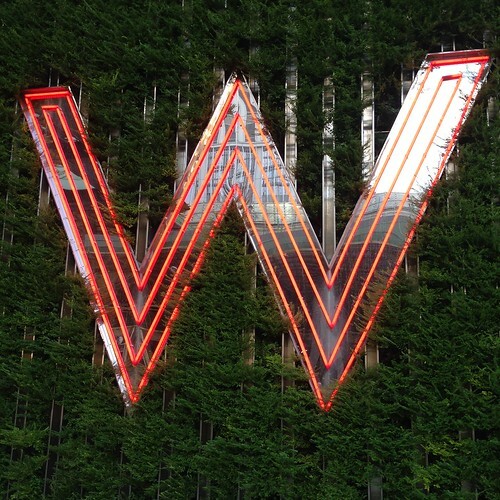 Looking forward to my stay at W Taipei and to going home, I was sipping a cup of tea in a cafe when I read an email informing me that my flight home on Sunday evening was cancelled due to Typhoon Fung-Wong. I called the airline's hotline and as luck would have it, the line got cut while I was on hold as they checked for seats on the next available flight. Seriously?!? I was glad to secure a seat the following day, scrambled to apply for an additional day's leave, grabbed a cab to W Taipei and sent an email to Vivian requesting for an extension while stuck in a jam. I guess I still looked a little flustered by the time I checked in because the check-in staff was very empathetic. He assured me that everything would be taken care of as they've extended my stay by another night, upgraded my room for a better view and will be giving me free internet access so I wouldn't get bored while remaining cooped up in the room on the second night. Vivian appeared shortly after and told me that everything's been taken care of, all I needed to do was to enjoy the additional night in Taipei even though I'd have to stay indoors due to bad weather. Meanwhile, I was told to make the most of the first night because the weather's always the clearest before the typhoon hits. 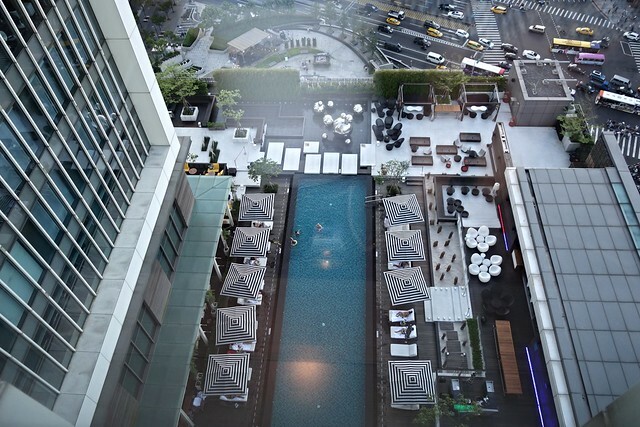 This is the view of the pool from my room on the day that I checked in. This was pretty much the last day of clear skies and sunshine during my visit to Taipei. There was dance music playing giving the place a party-like atmosphere. 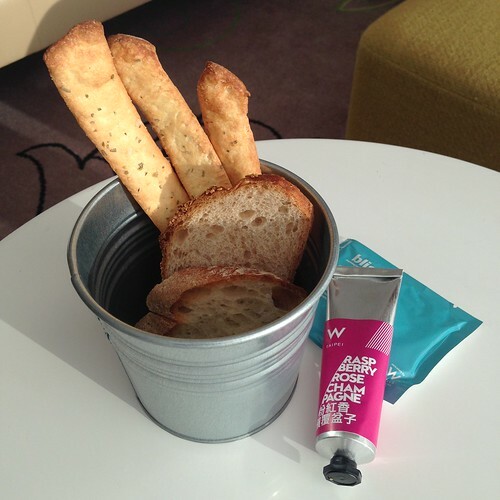 While waiting for the bellhop to bring the bags, we were given some welcome snacks that comprised breadsticks and toast with Raspberry Rose Champagne jam. 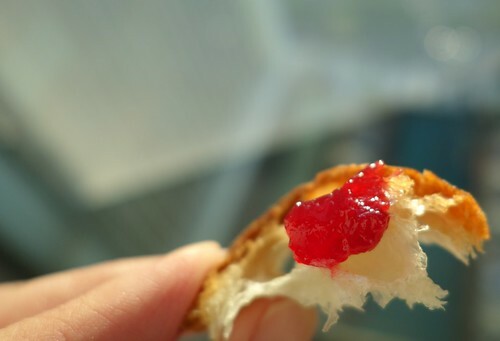 After a very late lunch, I wasn't hungry but curious to sample the jam because it sounded so interesting. Sweet and refreshing, it went fairly well with the crusty toasted bread. 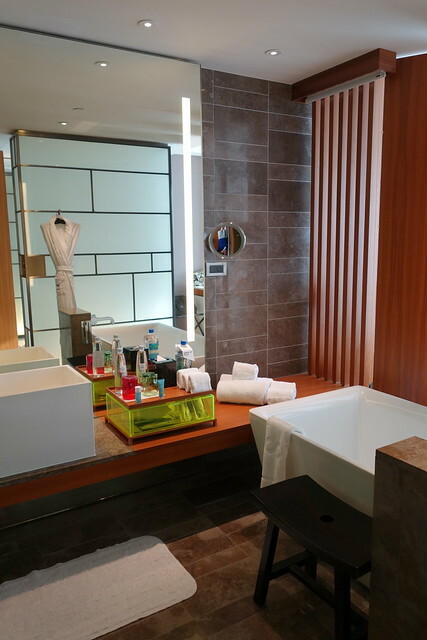 The kind folks at W Taipei had upgraded my room to a more spacious Fabulous Room with a bath so there was ample room for us. 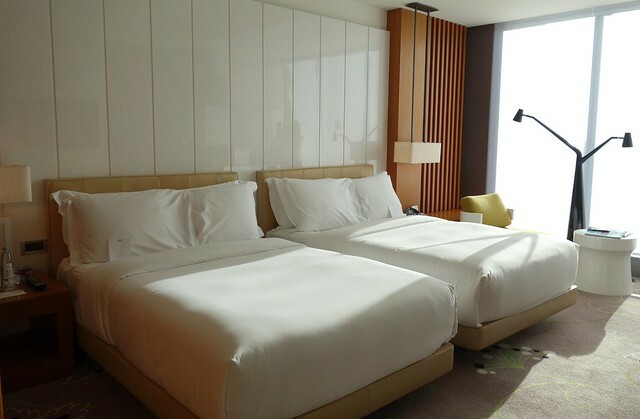 I loved the signature W bed and fluffy pillows at W Taipei, it was like sleeping on clouds. The bed was especially comforting on day 2 when I got food poisoning after inhaling a bowl of duck noodles at Ximending for lunch. If you have trouble sleeping, I think you'll love the White Noise Machine! Since coming back from Bali, I've been sleeping a lot better but the gadget freak in me is starting to think about getting one. 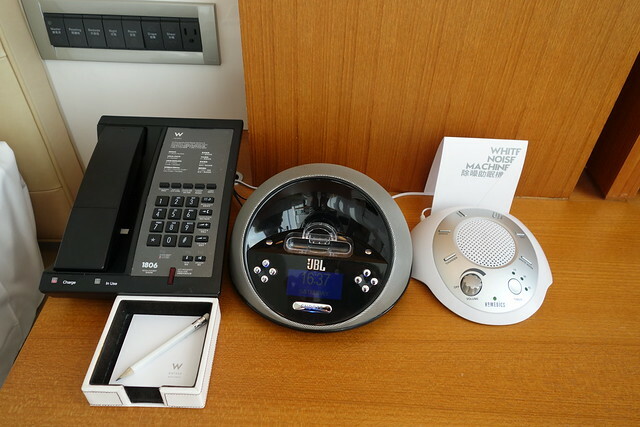 The iPod dock and alarm clock wasn't Lightning compatible but you can ask for an adaptor. Just remember to return them when you check out. 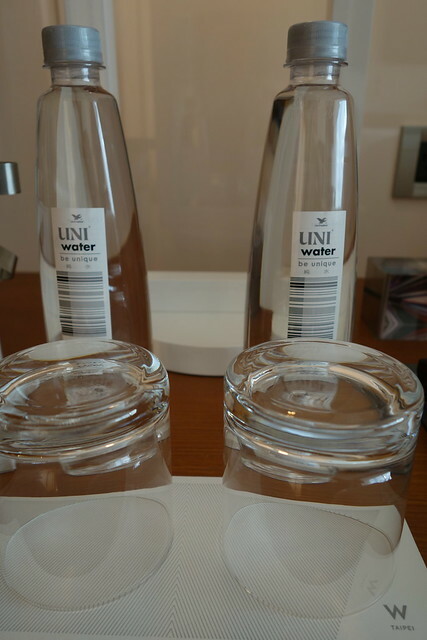 I loved the shape of the bottled drinking water that was provided. I'd been sticking to bottled water because of my sensitive stomach. The coffee and tea making facilities were concealed in the white cabinet under the red rabbit statue. The bathroom was spacious and I loved the rain shower, Japanese-style toilet as well as the tub. 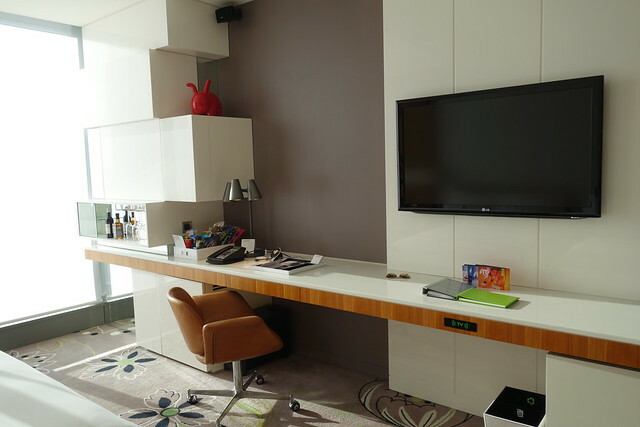 Like the Courtyard by Marriott Bali Seminyak, there isn't a vanity in the room but that was made up for by the well-lit mirror and stool. It was such a beautiful night, we didn't want to waste it all indoors. So after dinner and drinks at YEN, we visited WET Bar where W Insider Oliver Huang had reserved a table for us. 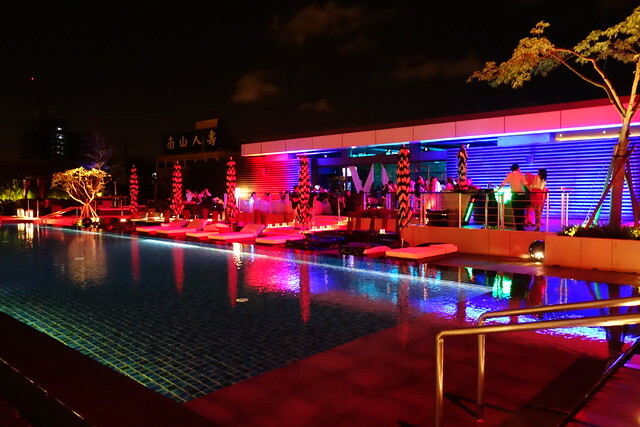 He was right, the vibe at WOOBAR and WET Bar was a lot more vibrant than at YEN Bar. WOOBAR was packed so we settled down at a table next to the pool. 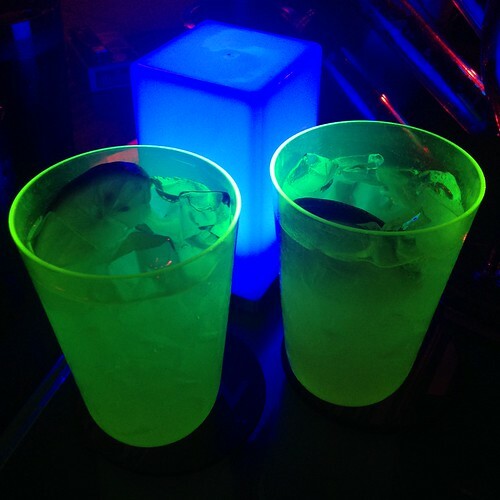 Drinks at WOOBAR are a must if you're in the area. 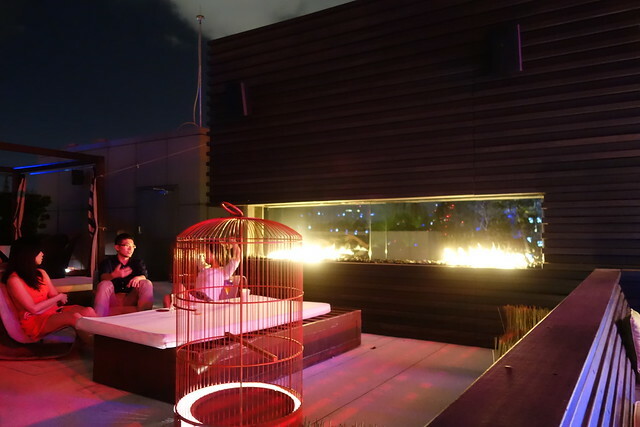 It was a cool evening with clear skies and we were seated close to what looked like a modern fireplace. Could this be the al fresco grill at WET Bar? The drinks at WOOBAR seemed to be more interesting than the ones at YEN Bar because they have a wider range of bespoke cocktails with house-made ingredients. Between the two concoctions above, YR and I preferred the drink with Perilla to the drink with Rose Water. It was a little more refreshing and interestingly, a little less bitter. 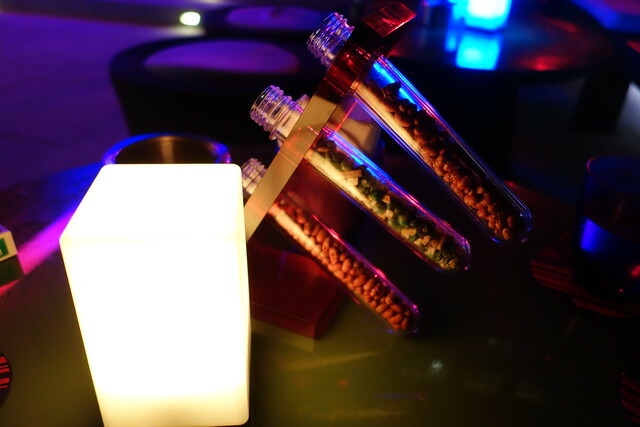 If you're feeling peckish there are test tubes filled with nuts at each table. We took turns switching the colours on the mood lamp just for kicks. Over drinks, we planned to check out the night market for supper but the plans got railroaded because we realized that Ounce, a popular speakeasy, would be closed the next day. It was about half past one so we had to hurry because Ounce was closing shortly. Thankfully, Oliver called the bar and got us a table after much effort. A little over 14 hours later, I was unwell probably because the duck noodles I ate was a little too oily and not warmed up enough to kill the germs. 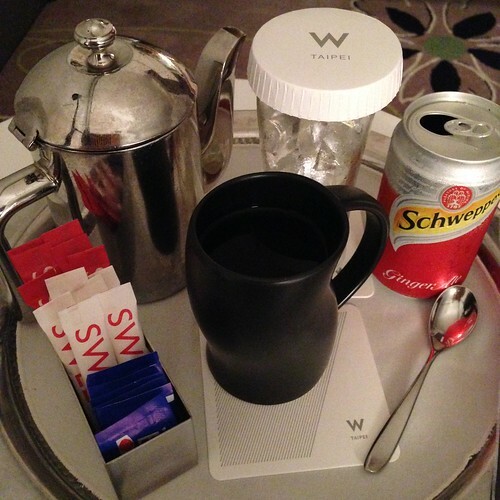 Unable to eat, I kept room service pretty busy at odd hours when I ordered Mint Tea and Ginger Tea to help quell the queasiness. Feeling weak the next day from lack of sleep and dehydration, I called Whatever/Whenever to ask for details of a clinic close by so I could see a doctor before flying back to Singapore. The staff were so worried, they sent an in-house nurse to check on me and that was when I realized that apparently my best option was to head to a hospital's emergency room. Ever the hypochondriac, I wasn't going to risk catching something else while waiting to see a doctor so I stayed in bed and loaded up on probiotics and hydrating salts. Joyce had arranged for a late check out for me so I could get some rest and freshen up for my flight. I made it to my flight in better condition because I had more time to rest. I'm so glad the folks at W Taipei were so warm and accommodating to help make my stay pleasant. The experience was worth every dollar and in my humble opinion, a stay at W Taipei is highly recommended.